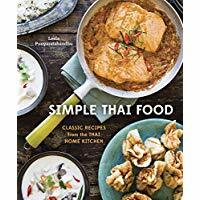 Cooks share experiences using Simple Thai Food: Classic Recipes from the Thai Home Kitchen by Leela Punyaratabandhu. Samples appreciated but not required. Adults.